Home > Archive by Category "Workers Comp"
If you are wondering whether you can sue your employer after you have already received a worker’s compensation for the injury or illness you have acquired while working for your employer, then the direct answer would be a NO. As a general rule, an employee can no longer sue their employer once they have received their compensation. However, there are a few exemptions regarding this situation. Depending on the circumstances of your case, you may also be able to sue a third party that directly caused your injury. Listed below are some of the exemptions that allow you to sue your employer or a third party outside of worker’s compensation. If you want to sue your employer for negligence, you can watch this video: https://www.youtube.com/watch?v=yz0geTvVjR8. All state laws require every employer to have an insurance for worker’s compensation. However, if you are unlucky and you landed a job where your employer does not have a worker’s compensation insurance, then you can sue your employer in civil courts for the injuries you have suffered. In some states, California included, they have taken the steps necessary to make a fund especially for people who were unfortunate enough to work for employers who do not have the legally required worker’s compensation insurance. If you live in California, and your company cannot provide you with a worker’s compensation, you can choose to file a claim in the state or sue. The decision is yours to make, but it would be a better choice to get a CA workers’ compensation attorney advise you first before you make any decision. 2. When your employer intentionally caused your injury. In many states, the law allows employees to sue their employers when the employer’s actions have caused intentional harm to the employee. However, different states have different definitions and standards for what is considered an intentional act. Therefore, it is really challenging to prove this in court. Unless, of course, your employer physically assaulted you in the workplace and you have witnesses to prove it. Another difficulty in suing your employer for intentionally causing your injury is the length of time it takes for cases like these to get resolved. It can be difficult to guess how long it would take for your case to be resolved because it will all still depend on the circumstances surrounding your case and the laws in your state. So if your injury was caused by your employer, then it is recommended to seek the advice of a worker’s compensation lawyer. If your injury in the workplace was due to an equipment or machine that you use for your job and the said equipment or machine is fundamentally dangerous, you can sue the manufacturer. You can hold them accountable and sue them for your pain and suffering. Of course, you must first be able to prove in court that the manufacturer knew of the inherent danger of the equipment or machine, and did not do anything about it. For example, during their quality control of the equipment or machine, it showed some signs that it could be dangerous, but they went ahead and sold it anyway. That can be used against them in court to prove their fault. When the employees’ jobs require them to be exposed to or handle some chemicals, it is a possibility that they will develop an illness or be injured at work, which are referred to as toxic injuries. Chemicals like asbestos, silica, radium, and other toxic chemicals are already well-known to cause diseases when there is prolonged exposure. If that is the case, then you can file a lawsuit for a toxic tort. Acute injury – These are the type of injuries that are immediately apparent. Poisoning and chemical burns are examples of acute injuries. Because of the immediate injuries caused by the toxic chemicals, it can be easy to prove the relation between the injury and the chemical in court. Thus, it will be easier to win your case. Latent injury – These are the type of injuries that take time to develop. Cancer and lung disease like emphysema are examples of latent injuries. Because it takes years for these injuries to develop, relating these diseases as a result of exposure to toxic chemicals can be challenging to prove in court. Despite it being challenging, there are numerous cases that have succeeded and won. Suffering an injury can change one’s life. It may prevent you from working again and the pain caused by the injury may become permanent. Not to mention the medical bills that can be the cause of your bankruptcy. That is why it is necessary for employers to provide worker’s compensation for their employees. But if your case falls under the exemptions listed above, then you should immediately get in touch with an attorney so you can start the process of suing your employer. 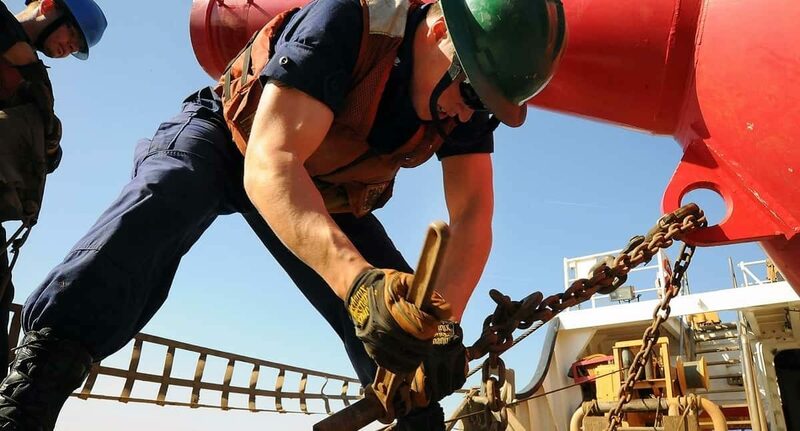 Mechanic’s lien, despite their name, is regularly used by subcontractors and suppliers as a lawful case against property that has been rebuilt or improved. For instance, on the off chance that you are redesigning your washroom and the supplier who provided the bathtub isn’t paid by the general contractual worker, a lien can be set against your house to recoup the cash. What can be surprising to a majority of owners is that it doesn’t make any difference in the event that you have already officially paid your contractor for the item or the bathtub. If the subcontractor or supplier isn’t paid by the contractor, the law allows the subcontractors to come after you and the property that was improved (which is typically your house). At last, you might be responsible for paying for the work twice or being compelled to sell your house, so it is critical to understand how mechanic’s liens work and how to stay away from them. It might seem essentially out of line that you can finish up paying for the contractor’s irresponsible conduct. The reason for permitting mechanic’s liens in the first spot is that between the person with enhanced property and the person who upgraded your new marble bathtub, the supplier’s needs to get paid seem to be more prominent. The law also presumes that you can thusly sue the general contractual worker. While this is valid, this doesn’t generally help you in the short term. For instance, a supplier places a mechanic’s lien against your house because the general contractual worker neglected to pay him the actual amount in a timely fashion. You can unquestionably go record a lawsuit against the contractor, and after some time perhaps garnish his wages or power him to sell his property. However, that takes time, and wringing cash out of a person who doesn’t repay his suppliers can be troublesome. In the interim, you owe twenty thousand dollars and have only a few days to repay the subcontractor or else your property will be sold to settle the mechanic’s lien against you. The main contention that now arises is how you can avoid ending up in such situations. There are a few ways to follow so that you never end up in this menace. One approach to ensure that subcontractors and suppliers get paid is to compose a series of checks, made out together to the general contractor and the specific subcontractor or supplier. Moreover, the check at that point must be cashed if a definitive recipient endorses it, ensuring that the subcontractor or supplier gets paid. Another approach to staying away from mechanic’s liens is to have the contractual worker get lien waivers from everybody whom the contract worker is responsible for paying. In numerous states, a contractual worker must give a waiver to all work for which the temporary worker has been paid before tolerating further payments from the proprietor. What to do if you are stuck in a situation like this? There are various firms you can approach that can help you out of this situation, one of the top firms being National Lien & Bond, where you can find full lien compliance services. It is advisable to keep all the notices and receipts with you to keep the procedure easier and also try to follow up regarding the payment of the supplier in order to remain in safe waters. Myths are abundant these days whether we are talking sports, politics, health insurance and of course workers compensation. Therefore it will be extremely beneficial for anybody working in the state of Georgia to seek out a Georgia workers compensation lawyer. By contacting a workers compensation lawyer in Georgia you’ll take the guesswork out of your claim, When it comes to on the job injuries you don’t want to leave anything to chance and rest assured you’ll be taken care of in the best possible way. Here are the 5 biggest myths when it comes to filing a workers comp claim. Our last myth about workers comp claims in Georgia is that once you file your claim you don’t have any other requirements. You must keep in contact with your employer on a regular basis typically at least once a week. You’ll need to keep them posted on how your healing process is going otherwise you can lose out on your benefits. You may also need to come into work on a part-time basis depending on the severity of your injury or injuries. When the claim officer assesses the extent of your injuries a reasonable timetable and possibly an easing back to regular hours will be implemented. In order to receive benefits for a work-related injury or illness in the State of California, there are several things you should consider. This article will cover some of the most essential factors when filing a workers’ compensation claim in the state of California. When filing a workers’ compensation claim in the state of California, it is crucial to be sure that all documents are submitted in a timely manner. It is important to understand that time begins to work against you the second the accident, injury, or illness takes place. Many claims are often denied not for the amount of evidence supporting the injury, rather, because the claim was not handled in a timely manner. There are other illnesses or injuries that are more difficult to place with an exact time to considering many conditions can get worse over time. If this is your case, immediately speak to a qualified attorney who has experience in these types of cases. An experienced workers’ compensation attorney can help you understand what time restrictions your particular case faces. One of the first and most important steps to take after an injury or illness at work has occurred is to seek medical attention immediately. Further, as soon as it is possible, report the injury or illness to your supervisor. Not reporting the injury or seeking medical attention can have devastating consequences on your right to obtain compensation for your losses. In the State of California, an injured worker has a maximum of thirty (30) days to report the injury or illness to his or her supervisor. A workers’ compensation claim could cover all of your medical expenses. It can cover expenses such as the diagnosing or treatment of the injury or illness. Further, with the compensation received, you can also pay for more expensive treatments such as surgeries other rehabilitative treatments. It is worth mentioning that a workers’ compensation claim will not cover punitive damages. Punitive damages cover losses such as emotional pain and stress or the inability to make an income, among many other damages. In the event that you seek to cover other costs, you will need to file a civil lawsuit. When looking to file a worker’ compensation claim, it is usually important to obtain the support of a qualified attorney who has your best interests at heart. A workers’ compensation attorney can be beneficial to the outcome of your claim. A qualified attorney can guide you through the process of filing the claim and ensure that all documents are submitted in a timely manner. If you are considering filing a workers’ compensation claim in the state of California, the guidance of an attorney can help you receive maximum benefits. Slip and fall injuries are among the top reasons why someone is sued for personal injury. A slip and fall injury is one that results from a property owner being negligent and not taking care of dangerous conditions. If someone can prove that you had an obligation to keep your property and premises safe and that you failed to do so, then they just might be able to win against you to court. To be found negligent in a slip and fall accident, there are four things that the plaintiff must prove. The first is that they must show that you had a relationship that warrants a duty of care on your behalf. For instance, if someone enters your shop, you have an obligation as a shop owner to ensure their safety. The relationship that you have with a consumer as a business owner means that you have a duty of care for their safety. Secondly, the plaintiff must show that you breached the duty of care. If you didn’t take steps to ensure a consumer’s safety, or if you did something that lead to their slip and fall injury, that is a breach of duty in the eyes of the courts. The plaintiff must then show that you knew that a slip hazard existed or that any reasonable person could have foreseen that it would have ended in injury, and that you failed to address the situation that led to their slip and fall. Lastly, the plaintiff must be able to prove that they were actually injured as a result of negligence on behalf of the defendant. Slips are a type of injury where a person encounters a slick surface and it is that slick surface that causes them to lose their balance and fall. If someone is walking and they slip due to their own clumsiness, then the property owner would not be liable for any resulting injuries. If they slip because the surface of the floor is slick, then it would be the fault of the property owner for not safely maintaining their floors. When someone trips over something and falls, it is still considered a “slip and fall” injury. A tripping hazard is anything that is left as an obstacle on the ground. It can also mean an unbalance in the floor, or even a tilt that is unnoticeable. In most cases, sudden changes in the floor are more dangerous than gradual ones. An example of a tripping hazard would be a pothole in a parking lot, a broken tile that hasn’t been repaired in a bathroom, or even a linoleum tile that is buckling. If you notice any of these types of tripping hazards, it is imperative to block entry until it can be fixed. To make sure that you don’t find yourself in a personal injury slip and fall suit, it is important to address any defects, spills or other conditions that might pose a risk to someone if they come to your property. If someone can prove that you knew about a hazard, or that you should have because any other reasonable person could have foreseen a danger, then you will be responsible for paying for their injuries. To ensure that you minimize the risk of being the target of a personal injury suit, inspect the property thoroughly, close off areas that are known to have a hazard lurking and immediately address anything that could pose a risk. Fixing something might be expensive, but not nearly expensive as being found negligent in a personal injury suit. The workman’s compensation (a.k.a. “comp”) system is fraught with problems. If it weren’t then we wouldn’t need worker’s compensation attorneys. Employers do not want to pay for worker’s compensation claims. Hence; they will do anything to place the blame on the injured party. If you are filing for workman’s compensation then be prepared to have your entire medical history, conditions and present physiology picked through and poked at. One of the most difficult situations in worker’s compensation law is the time when the injured party has pre-existing and or related conditions. For example, a person working with fumes and airborne chemicals or a situation where foreign matter may be inhaled would have a difficult time making a claim if he was also a smoker. In these situations; a Georgia worker’s compensation attorney is of the utmost importance. Many employers have standard procedure, rules that mandate drug testing immediately after an employee is injured. Understandably, an employer wants to make sure that the injury was not caused by intoxication. The trouble is; what happens if a person was injured while intoxicated but by no fault of being intoxicated? An example of this would be if an employee was in a safe area and another employee caused an accident? An employee under pain management care that is taking prescription opioids; does this mean that they are at fault in every case? Also, OSHA has enacted regulations in the last few years that have caused employers to lean toward selective drug testing rather than blanket testing. It is not just to pick some employees but not others to be tested after an accident. Workman’s compensation also can mean random drug testing to ensure levels of medication are in the injured parties’ system. Obviously, a claim must always be backed by medical evidence. The pressure placed on doctors to make major decisions is huge. A doctor must decide if the employee is injured, if the injury was work related and give a prognosis with an estimate of how long the employee will be injured. Usually; an IME or Independent Medical Examiner will need to be consulted at the recommendation of an employer’s insurance company. Unfortunately; IME’s are always on an insurance company’s payroll and in a position of benefiting from finding in favor of the employer. Be sure to stop doing any kind of yard work or carrying your own groceries. Employers that pay out worker’s compensation in large amounts and on a long term scale will often employ private investigators to follow and spy on the employee in case they are faking it. Most of us have known these people at one point or another. These are the people that never work but are always working on home projects. “I can’t work but I can lay bricks in my yard, mow my lawn, rake, shovel and carry a wheelbarrow.” To each his own. However; imagine being literally spied on and how creepy that must really feel. As previously mentioned; workman’s compensation is a complex system in need of a complete overhaul and creation of clearer regulations. Far too much leeway is given to the employers and insurance companies. The stricter limitations on comp have come about over the years for dishonest employees. It is quite the shame that a few bad apples have made it harder for truly injured victims to receive the compensation that they are entitled to. An employee should not have to fight for compensation when they are injured on the job. Yet, a fight is what an employee is in for. People have accidents all of the time. Usually, no one really intends to hurt themselves on the job (note the word usually). This is why it is called an accident. Accidents on the job are what worker’s compensation is for. Yet, as many of us know, employers will often fight paying for on the job injuries. Consequently, employers have a habit of drug screening employees after accidents. A skilled Georgia Worker’s Compensation Lawyer can like you might find at https://www.workcompgeorgia.com/ will fight claims that were denied based on post-accident drug screening. Unfortunately, employers know that drug and alcohol use causes almost three times as much absenteeism and three times as many accidents. In May 2016, the Occupational Safety and Health Administration (OSHA) released new regulations pertaining to the protection of workers reporting injuries in the workplace. OSHA came out with the new regulations to prevent employers from discouraging accident reporting with post-incident drug testing and to stop incentivizing drug testing. In this way, a person who smokes marijuana at home after work hours or takes prescription pain relievers off the job cannot be drug tested after an accident at work and have the company blame it on the drugs (that did not cause the incident). OSHA considers post-accident drug testing to be “retaliatory”. OSHA also considers any incentives for periods of time without accidents to discourage workers for reporting. Sadly, OSHA cannot prevent post-accident “blanket” drug testing if it is required by state law. Georgia Worker’s Compensation law clearly states that “an employer shall not have a legal duty under this article to request an employee or job applicant to undergo testing.” O.C.G.A. §34-4-415. However; a company is fully within its rights to offer a discount on worker’s compensation insurance premiums if an employee is willing to undergo random or periodic drug testing. Therefore, employees would not be compensated for underreporting accidents but compensated for maintaining safety on the job. OSHA has also made laws attempting to change employer incentives for fewer accidents. At one point; employers could enjoy tax breaks for fewer accidents. OSHA has been trying to cut back on tax laws like these because they implicitly cause underreporting accidents. Employers in Georgia have begun to defer to “reasonable suspicion testing” rather than “blanket testing”. Here, an employer has to write up reasons and usually evidence to the effect that the employee was likely high or drunk at the time of the accident. Arguably, this method of drug screening can be entirely biased. At least with blanket testing, everyone is treated equally; with the same post-accident procedures. Since Georgia Worker’s Compensation Law only dictates that employers don’t have to drug screen after an accident; the employer is left with great discretion. Unfortunately, reasonable suspicion testing is a great way for employers to get rid of employees that may have known drug and alcohol problems while not paying for the accident. Discriminating against an employee for these reasons are a serious issue that a Georgia workers compensation attorney can also assist a client with. An employee injury is nothing to laugh at. No matter how severe, an injury will throw a monkey wrench into the employer’s and employee’s lives. In addition to the obvious medical issues, both employee and employer will need to complete a vast amount of paperwork. That’s why it’s imperative that, despite the initial inconvenience, both parties need to carry out a specific set of steps to ensure something like this will not happen again. The first action the employee needs to take following a workplace accident is to seek medical help. Leave nothing to chance. Medical help should be sought whether the employee has suffered a small cut or a severe injury like a fracture. The type of medical treatment depends on the type of injury or the location of the wound, even if the injury does not appear severe. The employer and employee must handle this situation in a timely and professional manner. After the employee has received treatment, they should sit down with the employer to discuss what happened. It’s important to find out how the incident occurred and how it could have been prevented. Talking the matter out one-on-one to ensure both parties have the chance to state their case and reach a solution together. After everything is taken care of, the employer should seal off the area where the injury occurred. The area where the injury needs to be sealed so that an inspection can be carried out to determine the cause of the incident and why it occurred. When the employer finds out what the problem was, they can take steps to prevent this type of incident does not happen again. After the area is sealed off and an agreement has been made, you need to start working on the paperwork. An employee can file a claim, and the employer is obliged to inform them about their rights and provide them with the forms they need to complete for these benefits. It’s important to find out exactly what goes into a claim. Generally, worker’s compensation does not look into fault. However, it does consider the injury severity. Withstand Lawyers, or other workplace injury attorney offices can handle these issues and offer in-depth explanations on these matters from both sides. They can also offer advice on entitlements so employees can avoid losing out on their potential benefits. After filing the reporting paperwork and the insurance is processing the claim, both sides in the matter needs to cooperate and provide the insurance company with the information they need to get the matter sorted. This process can take a long time, so make sure to do what you can to reduce the potential time-frame. Injuries will happen. Probability shows us that eventually, an employee will have an accident, it’s not possible to prevent all workplace injuries. However, before and after the incident, what we do will ultimately define who you as an individual. Make sure you do everything you can to ensure this process is handled with care and in accordance with your insurer’s protocol. Then you’ll need to know the steps to filing a workers’ compensation claim. This can be a stressful and challenging time, and not everyone knows how to go about getting workers’ compensation. It may seem overwhelming when balanced with medical bills, doctors’ appointments, and recovery time. However, when you have a guide to the steps to filing a workers’ compensation claim to follow, the process becomes less daunting. That’s why we’ve put together this easy guide so that you’ll know how to get the compensation you deserve. Keep reading to learn the steps to filing a workers’ compensation claim! Why File for Workers’ Compensation? When you’re injured on the job, you have the option to file for workers’ compensation. You may be wondering if it’s worth it to take the steps to filing a workers’ compensation claim. However, there are many valuable reasons to file for compensation. If you’re injured on the job, you’re entitled to compensation. Although in rare cases an employee will decide to file a personal injury lawsuit instead, workers’ compensation exists to take the place of long, complicated legal processes. Workers’ compensation functions as an insurance policy. This means that you are legally entitled to certain benefits as an employee who was injured. There’s no need to hold back from filing – it’s your legal right. In order to file, you simply need to establish that you were injured while on the job, while doing work-related activities. It’s easier than you might think. Now, let’s take a look at the exact steps to filing a workers’ compensation claim. If you follow these steps, you’ll quickly and easily get the compensation you need. Your first step after an on-the-job injury is to get immediate medical attention. This is an important step. You’ll increase your chances of a full recovery by getting the treatment you need right away. You’ll also need to show that you’re getting treatment to file for workers’ comp in most places. Certain compensation policies require you to see a particular doctor, so check with the company before you make an appointment. Most of the time, the laws allow you to get a second opinion if the required doctor doesn’t work out. However, no matter what, you’ll want to make the appointment as soon as you can after your injury. You might feel like you’re perfectly fine and don’t need medical help, but if you were injured at work, go ahead and make the appointment anyway. This can help prevent medical issues related to the injury from arising later on. Plus, it’s the first step in filing for compensation. You’ll need the medical report to show the basis for your compensation. It’s also important to tell your employer about your injury as soon as possible. There is a statutory deadline within which you must let your employer know that you were injured. However, the sooner you tell them, the better. The notification deadline can be short – you might only have 30 days, or even less, to make a report. Even if you don’t feel like you were injured, you should still report any accidents in the workplace that you were involved in. That way, if the deadline passes and it turns out you were injured after all, you can still file for compensation. A verbal notification won’t be enough here – you’ll need to make sure it’s in writing too. You can give an initial notification verbally, but be sure to follow it up with a written one soon after. The written notification provides an official record that can be referred to when you file your claim. It’s also important to get this step done quickly so you can remember all the details of the accident. If you wait too long, it can become harder to convey exactly what happened. When you tell your employer what happened, they’ll usually provide the official claim for you to fill out. If they don’t, you’ll need to request one from your state’s workers’ compensation board. Once you have turned in the form, it’s up to your employer to take the next steps. Most employers are legally required to provide workers’ compensation, so they have a strong incentive to follow these next steps. If they don’t, they could get fined, charged with a crime, or sued. Employers aren’t allowed to seek retaliation against an employer for filing a claim, so don’t worry about being punished. Your employer will file your claim and any necessary paperwork with their insurer, and the state board of workers’ comp. The insurer evaluates the claim, and then you’ll receive notification of whether or not your claim has been accepted. At this point, you’ll find out the amount of compensation you’re going to receive. Once you’ve filled out the required forms, you’re pretty much done with the steps to filing a claim with a Georgia workers’ compensation lawyer. However, it’s important to follow up and stay organized throughout the process. Make sure you continue to get regular medical treatment if a doctor recommends it. Your compensation will cover the cost of any treatment due to work-related injuries. It’s not a bad idea to jot down any time your injury negatively impacts your life or your ability to work. You can be compensated for these problems, but you’ll need to document them. Keep all your receipts of costs related to the injury, and record proof of any injury-related hardships you experience. On the off chance that your claim is rejected, you can usually appeal. This process will be easier if you have plenty of documentation. 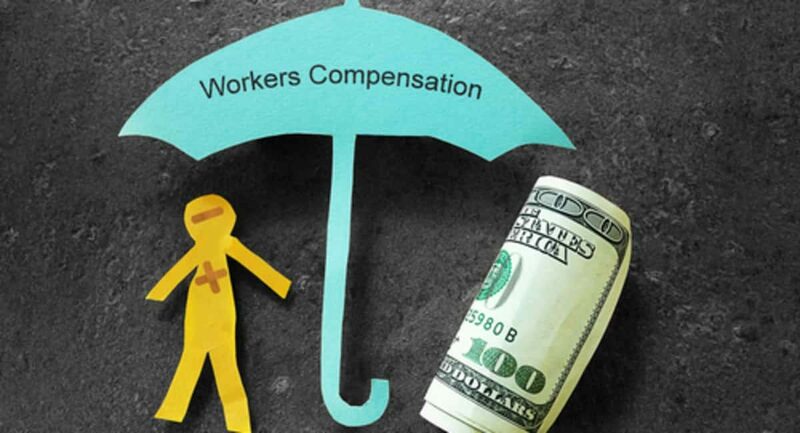 Is Workers’ Compensation Right for Everyone? Most of the time, you’ll want to file for compensation following an injury at work. However, in rare cases, you might want to file a personal injury lawsuit instead. For more about personal injury law, check out this post. Should You Hire a Workers Comp Lawyer? Every year, insurance companies pay out over $50 billion to settle workers compensation claims. Overexertion, slips, and falls are some of the most common workplace injuries, and they account for most of this settlement. As an employee, getting into a workplace accident is the last thing on your mind when you check into work, but the threat is always there, regardless of how low risk your job is. Then the worst happens, and you get injured at work. You’re unable to work for a while – or permanently – and you’re spending money on medical costs. This is when you realize you need to file a workers compensation claim. Should you go it alone or hire a workers comp lawyer? Read on to learn why hiring a lawyer is the smartest move. Unless you’re a workers comp lawyer, you certainly don’t understand workers compensation laws in your state. As a result, when you’re injured at work it can be difficult to know whether your employer is legally responsible for your injuries. Or you could fail to file a claim for fear of losing your job. If this is what you’re facing, you probably don’t know it’s illegal for an employer to treat you unfairly or fire you for filing a claim. When you hire a workers comp lawyer, you’re getting a professional who has spent years helping injured workers like you get the compensation they deserve. Your lawyer will explain the relevant laws to you, as well as identify any grey areas. If you work as an independent contractor for a certain company in Louisiana, for instance, you may or may not qualify for compensation when injured on the job. You need a lawyer who understands Louisiana workers compensation laws to assess your contract and determine whether you’re eligible for compensation. Why should an employer deny a claim? After all, it’s the insurance company paying out the money. Well, employers have much to lose when their insurance carriers have to settle workers comp claims. If the number of claims filed by employees of Company X keeps increasing every year, the insurance company will increase premiums. And given that companies pay these premiums from their revenues (not employees’ deductions), you can see why an employer might be inclined to deny a claim. Yet, one of the first things you should do after getting injured on the job is to report to your employer. When the time to file a compensation claim comes, you’d expect your employer to help you through the process. However, if your employer is not cooperating or outright denying the claim, it’s time to get in touch with an experienced workers comp lawyer. Such a lawyer knows the buttons to push to get your employer and their insurance providers back on the negotiation table. Business is about keeping expenses low. It is, therefore, not uncommon to find employers or insurance companies offering low or unfair settlement offers to claimants. Without a worker’s comp lawyer on your side, the other party can easily arm twist you into accepting the offer, or they can falsely promise to pay more later. You can also accept an offer because you feel it’s right. Let’s say you spent $10,000 treating your injuries. You file a compensation claim and, to your surprise, the employer or his insurer quickly offers $20,000. In your view, the employer has actually overcompensated you. When the deal is too good, think twice! Your employer certainly didn’t offer that amount out of goodwill. He knows if you filed a proper claim that factors in all losses and injuries (including things like emotional trauma), he could be paying a lot more. For those reasons, you should not hesitate to hire a workers comp lawyer. He will assess your case and compute an amount that runs beyond the obvious costs. This will enhance your chances of getting the right settlement offer. By now, you can tell the various reasons that can necessitate you to file a workers compensation lawsuit. Denial of a claim and low settlements offer are the most common. When things get to this point, some workers give up. One, you risk infuriating your employer if you keep pressing on or, two, you think hiring a lawyer to help you fight in court is costly. By the way, never shy away from getting legal help because of the fees. Sure, legal fees vary from law firm to law firm, but a workers comp lawyer worth his salt will only take a percentage of the settlement once the case is won. If you find a lawyer asking you to pay so they can begin working on your case, move on. Anyway, when it’s apparent you need to take your case to court, the lawyer will prepare the necessary documents, often depending on the nature of your accident. If your injury was a result of a slip and fall accident, for instance, your lawyer has to gather the necessary evidence in order to prove liability. Click for more information on what it takes to file a successful slip and fall lawsuit. Evidently, hiring a workers comp lawyer is a smart move. Even if your injuries are minor, you’ve missed no work as a result of the injury or the employer has accepted full liability, there is a chance you might fail to get the right settlement offer. With a lawyer on your side, you’ll have greater peace of mind, and you’ll be confident of receiving the compensation you truly deserve. Ever been injured in on the job? How did you handle the claims process? Share your experience with us in the comments section below.